When we search any thing on internet then we go to Google search before doing anything. Now, a conservative estimate would be that there is no so much internet without Google. 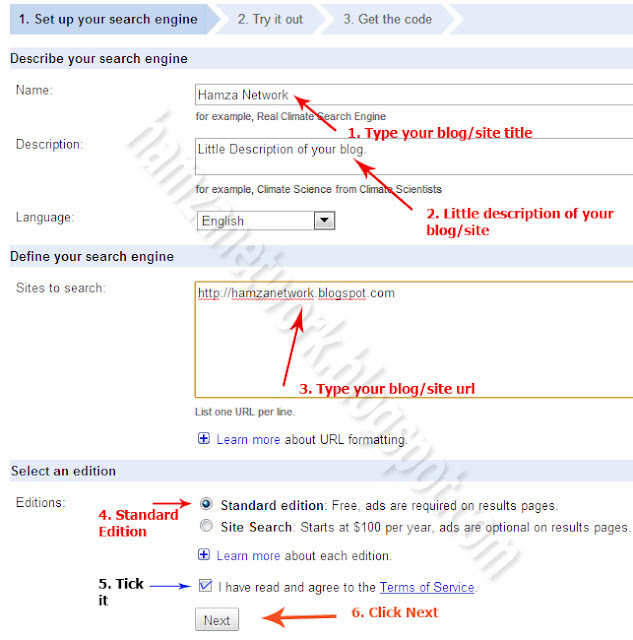 Every blogger has a search engine in his blog for his blog post,s searching. 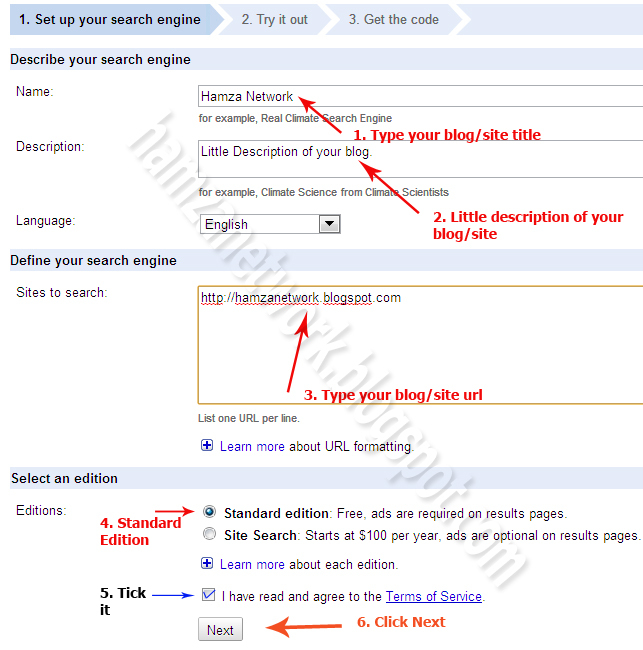 There are unless templates for blogger and they have their own custom search engines. These search engines show limited result of search and they are not very good. Google Custom Search Engines (CSE) are very efficient and they show most important posts and data of our blog. CSE increase number of pageviews of your blog because your blog visitor is kept involved in reading more articles of your blog. 1. Go to Google Custom Search official page. 2. 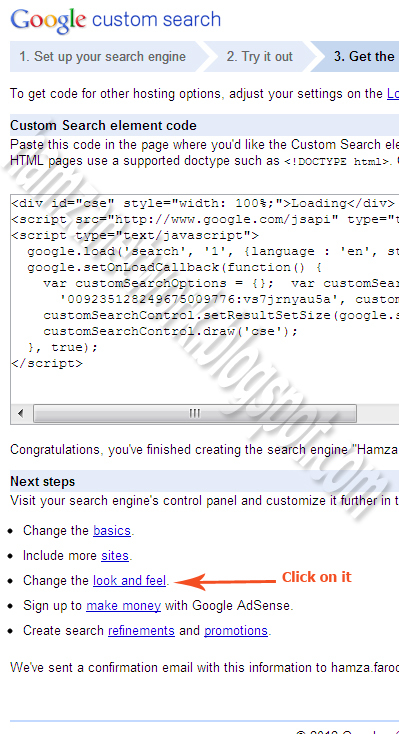 Click on Create Custom Search Engine Button. 3. Now set your settings as show in below picture. 4. Now click on Next button and choose the style of your custom search engine.You can click on Customize button to change the style and look of your search engine. 5. Now click the next button and then click Look and Feel on the next page. 6. you will see three layout options i.e Full-width, Compact and Two-column. See the picture below. ★ If you want to add search box below post then choose Full-width. 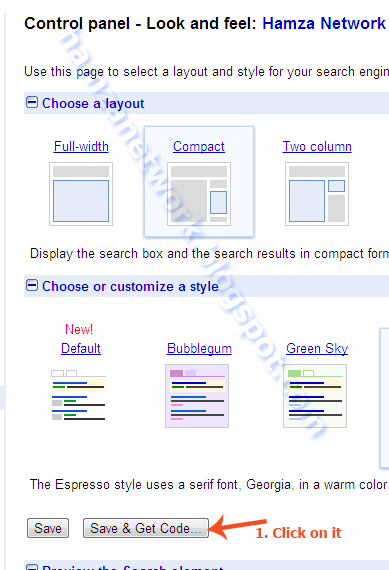 ★ If you want to add your search box on sidebar then choose Compact. ★ If you want to display your search box to sidebar and show search results above the post title then choose Two column. Finally click on Save & Get Code and copy the code which Google will give. 1. Go to Blogger --> Template --> Edit Html and check Expand Widgets Elements. 4. Save your Template and you will see that Custom Search Engine is appearing just below blog posts. 2. Hit save and you have done everything. 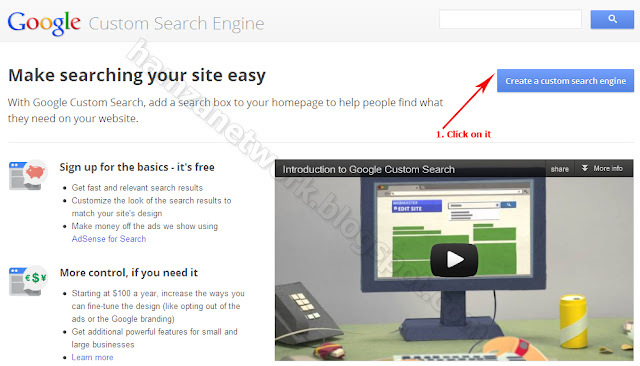 You will see a Google Custom Search Box to your Blogger Sidebar. If you are facing any hesitation about this topic then comment me below. Hello! It was such a huge pleasure to visit this blog and especially to read this blog article. I also would like to ask you something about this blog. What is your attitude towards guest blogging? how to apply for ad-sense.